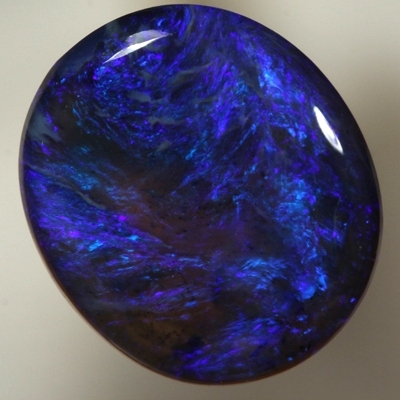 The transparent body of this opal has blue and purple fire moving brightly, continuously rolling over the medium high dome of this opal. Perfect for any setting with colour on the sides of the opal as well. Great in all lights.